Most pickup trucks are exactly like the next, but that’s not always true. 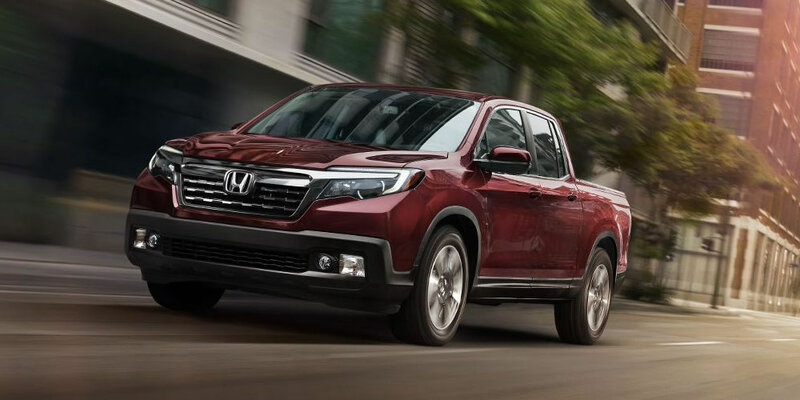 The 2018 Honda Ridgeline at our dealership serving Cherry Hill is electrifying and unique, making it a pickup truck for all to enjoy. With a standard 3.5L V6 engine with a 5,000 pound towing capacity, getting the job done is a piece of cake. Looking to get the truck a little dirty off the pavement? The available i-VTM4™ AWD System with Intelligent Traction Management, which is equipped with four drive modes (Normal, Snow, Mud, Sand), can give adventurists the confidence they need in all types of climates. Built for power and comfort, the 2018 Ridgeline goes against the grain. While most pickups are built for work, this vehicle is built for both work and play. The 7.3 cu.ft. In-Bed Trunk® is standard on every model and is great for transporting ample amounts of gear or the perfect tailgate. In order to keep the passengers comfortable, there is plenty of room for up to five people. When there needs to be more room made for cargo that can’t ride in the truck bed, the 60/40 Split Lift-Up Rear Seats are a great feature. While saving big with our Honda specials near Cherry Hill is exciting, not much is more exciting than the technology inside the 2018 Ridgeline. With features like the available 150W/400W Truck-Bed Outlet, owners will be able to throw the tailgate party of the century! The groundbreaking Truck Bed Audio System gives drivers the first opportunity to try out such a dynamic feature. How exciting is that! Shoppers can utilize over 25 standard and available connectivity features to make sure their ride is as personalized as can be. Burns Honda gives shoppers plenty of reasons to buy from us, especially how much we care about our customers. Each year, we work hard to ensure potential buyers get behind the wheel of a vehicle with great safety features such as the standard Multi-Angle Rearview Camera with Guidelines. Features such as these help drivers remain in control and aware of their surroundings at all times. Opting for the Honda Sensing safety suite is a great choice as well, as it is impossible to ever be too safe out on the road. For more information about the 2018 Honda Ridgeline, contact Burns Honda at (855) 571-4863 to schedule a test drive.